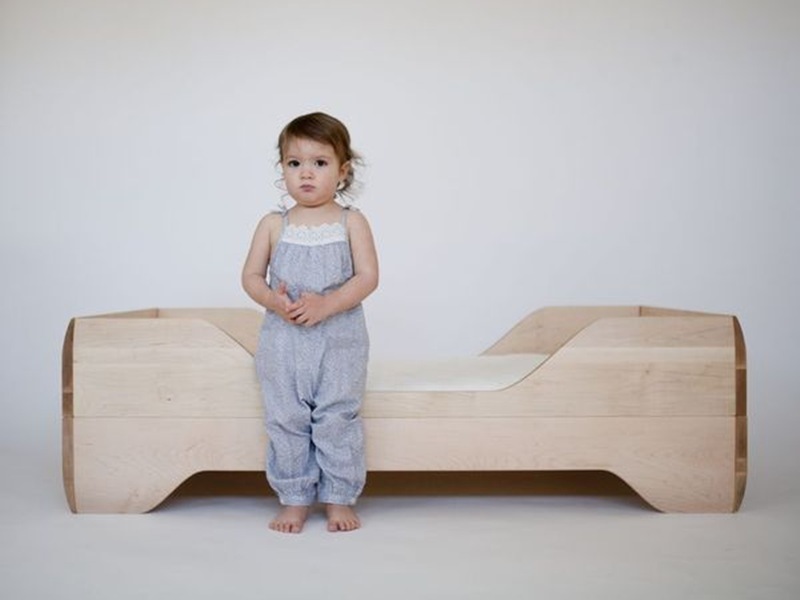 We love how Kalon Studios furniture, including the sustainable Caravan Crib and dresser, allows you to create the perfect green nursery for your baby, so imagine our delight when we saw that the company now offers an eco-friendly Echo Toddler Bed. Echo is a beautifully sculpted bed designed with gentle slopes at both the top and bottom, which offers a soft cradling effect. The bed is made to order in the USA with 100% FSC Certified Maple and finished with non-toxic wood oil. Echo is the perfect first bed for a young child – not just green, this bed is sized right, set low to the floor so that your child can build confidence by climbing in and out all on her own.